Catania is an intriguing Italian port city located on the East coast of the largest Mediterranean island, Sicily. Just under 300,000 residents reside in Catania which is also host to the renowned active volcano, Mt. Etna. The city’s unique touristic attractions include the Catania Cathedral and the Fontana dell'Elefante statue situated in the central square. Cheap flights to Catania are now available for a limited period of time, let this unique city inspire you with its amazing culture. Catania is home to the Catania–Fontanarossa Airport (CTA) also known as Vincenzo Bellini Airport. It is approximately a 15 minute drive or bus trip from Catania’s city center. The airport serves international airlines that include Italy’s national flag carrier, Alitalia, Turkish Airlines, and Lufthansa. Explore the streets and discover Catania’s incredible history. 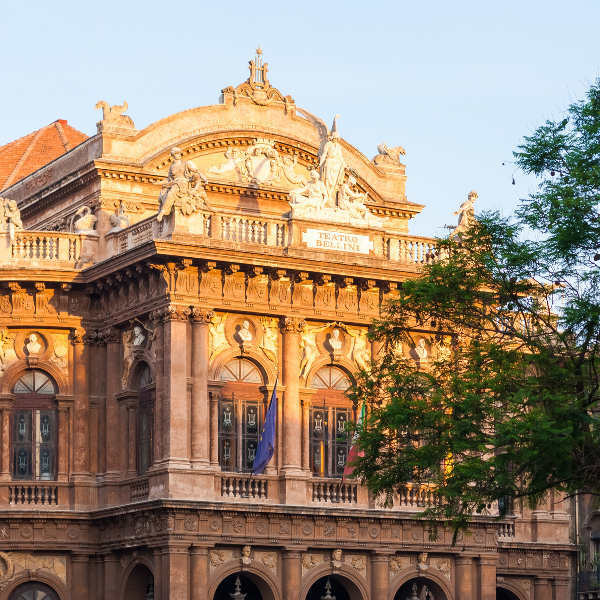 Popular sites include the Castello Ursino 13th century castle and the lavishly decorated 19th century Teatro Massimo Bellini theatre. The incredible existence of Mt. 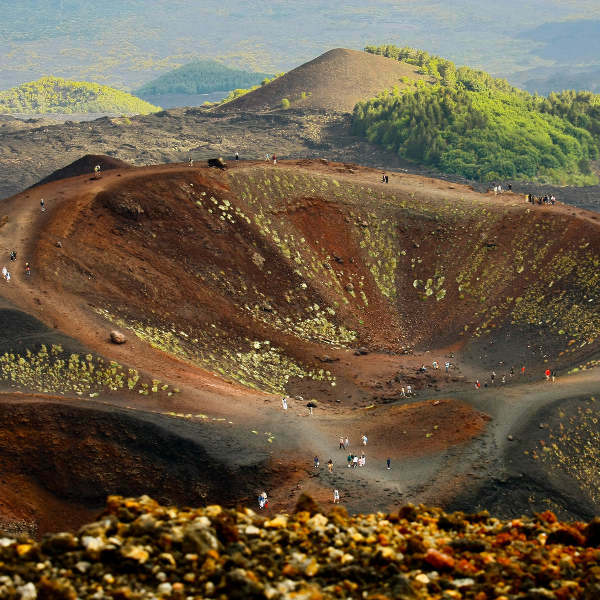 Etna is exciting and unforgettable. You can hike up the mountain trails, take a bus or ski down the slopes during the chilly winter. 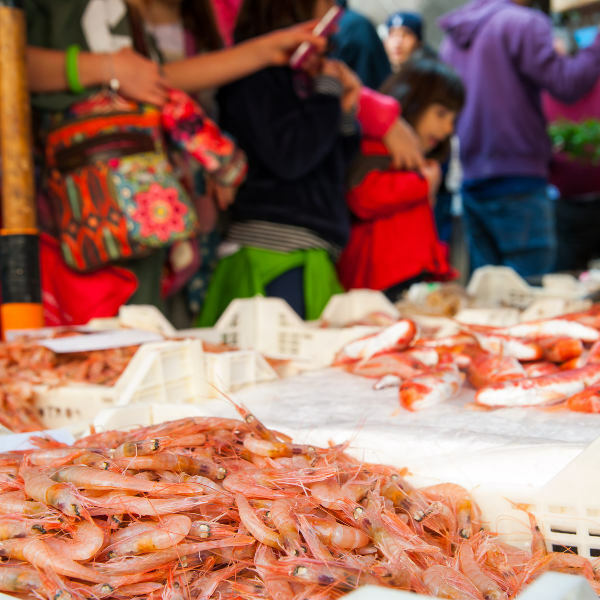 Prepare to be treated to phenomenal flavours of traditional Sicilian dishes such as Pasta alla Norma and fresh seafood from the restaurants near the bustling La Pescheria fish market. Catania experiences hot and long summers with their Mediterranean climate. The summer season is from May to September making this period perfect for sightseeing, spending time on the beach or enjoying a drink at one of the sidewalk cafés in the city center. For exciting winter activities such as skiing, January until early February is the ideal time to visit Catania. The city also hosts music and art events all year round. These include the Volcanology Music and Art Festival, Etnafest and Cantica festival which journeys through the city’s ancient cultural music and showcases the new and modern jazzy sounds. This quaint Italian port city is also a vibrant student town and a historic tourist attraction. Catania offers a lengthy coastline with beautiful beaches and a multitude of pavement cafés in the Piazza del Duomo central city square. If you are interested in partaking in a bit of retail therapy or buying gifts for loved ones back home the Via Etnea shopping center is just the place. On this journey you will never be short of sights to visit. Some of the most popular attractions include the Fontana dell'Elefante statue which is fountain with a Roman statue of an elephant, the Catania Cathedral and the San Benedetto church and monastery built between 1704 and 1713. If you are looking for more adventure, you can plan a hiking trip up the trails of Mt. Etna, the tallest active volcano in Europe, or enjoy the rush of skiing during the winter months. Compare multiple airlines and book cheap flights to Catania with Travelstart! Before travel, ensure that all your routine vaccines are updated. These include your MMR vaccine, Diphtheria Tetanus Pertussis vaccine, Chickenpox vaccine, Polio vaccine, and yearly Flu shot. Catania is a fairly safe city. Tourists are advised to practice normal safety precautions by keeping their valuables safe, watching out for pick-pockets and keeping an eye out for the speedy scooter drivers in the compact city center.